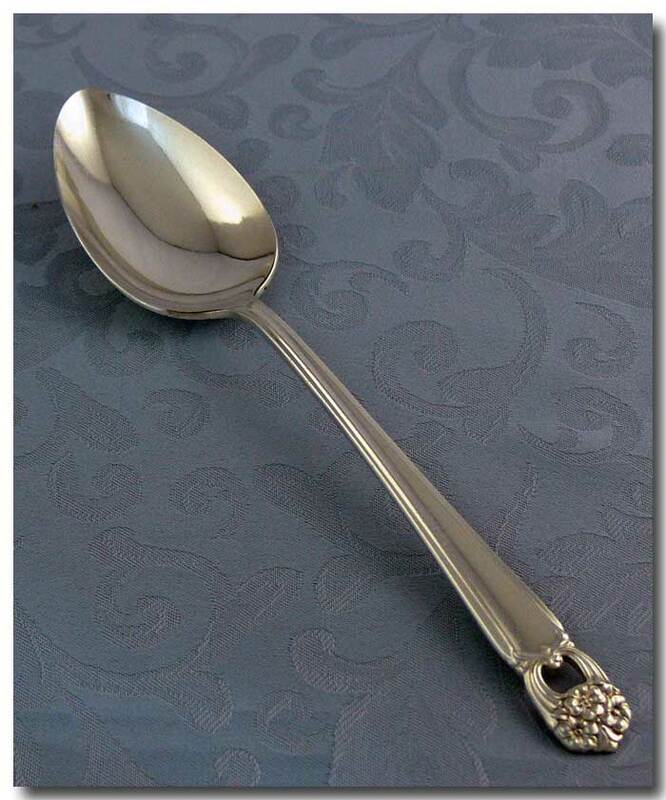 Collectivator :: 1 SILVER PLATED SERVING SPOON IN THE 1847 ROGERS BROS. 'ETERNALLY YOURS' PATTERN. 1 silver plated serving spoon in the 1847 Rogers Bros. 'Eternally Yours' pattern. This pattern was first introduced in 1941 and continued in production until 1973. The spoon is in great condition, with normal signs of wear. Length: approx. 8 ½ inches.